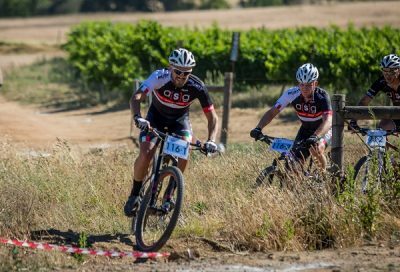 Despite not having ridden together this year, Pieter Seyffert and Hanco Kachelhoffer will still make a formidable team when they defend their title in the Sanlam MTB Invitational near Paarl this weekend. The two-day race, which starts at Rhebokskloof Wine Estate, will have the Paarl Mountain as a key feature on both the 60km and 40km stages. Seyffert, who won the TransCape alongside Travis Walker this year, said they were ready to renew an old association. "I had Travis as a partner at the start of the year, but he has since stopped competitive cycling," said the 30-year-old Ellsworth-ASG rider. "I will be joining forces with Hanco this weekend and next year. "We've been friends for as long as I have been racing, which is about 15 years, and it's always fun and enjoyable to race with him. "I think we will gel quite well together but I have had quite a few commitments lately so Hanco might even put me under a bit of pressure." Seyffert explained that much of his time had been taken up with the development of an ASG Concept Store in Pretoria, similar to the one run by his teammate in Paarl. He said he had been heavily involved with the logistics of setting up the store, which had limited his time on the bike. "We have our official opening later this month and at the moment we are stationed in a small pop-up outlet next to the shop. So that has taken up a lot of time, but we will still be up for any challenges in Paarl. "We want to compete to the best of our ability in any race we enter and it will be interesting to see what sort of competition we are up against." The organisers tested the two-day racing concept for the first time in last year's Sanlam MTB Invitational and Seyffert gave the idea his stamp of approval. "I think this concept is amazing, especially for the guys who have to travel far and don't want to do just a one-day race. The two-day event is a great initiative." He added that he was looking forward to taking on the . . . The triumph by the Madibaz football team in the regional section of the Nedbank Cup in Port Elizabeth at the weekend is another step in the right direction as they continue to aim for higher honours. 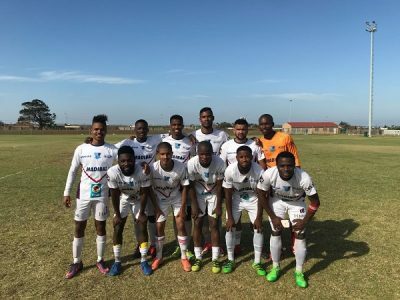 The Nelson Mandela University outfit won the Safa-NMB leg of the knockout competition - which involves SAB League teams - by beating Ikamva Movers 5-3 in a penalty shootout after a 1-1 score at the end of fulltime. The students will now go into a draw to play the regional SAB League knockout competition winners from across the province in the next phase of the tournament. After winning the local SAB League title last season, Madibaz football manager Mark Tommy said this latest triumph showed they were on the right track. "The objectives of Madibaz football are very clear in that the club aim to win as many games as possible. We want to qualify for promotion to the ABC Motsepe League and, ultimately, the National First Division. "Growing the game in PE and establishing a professional league status that represents the people of this metro is the overall goal." He said that the technical staff, led by coach Wayne Iveson, were intent on winning the SAB League again this season. "It is our objective to reach the playoffs for the ABC Motsepe League and an extended run in the Nedbank Cup will afford us the opportunity to compete against teams from around the country." He said the Nedbank Cup campaign had been a tough challenge as the competition was fierce to land a place in the last 32 of the national tournament. "Reaching that stage comes with a huge financial incentive," said Tommy. "It is the equivalent of England's FA Cup, with lower division teams getting a chance to test themselves against professional teams in the National First Division and Premier Soccer League." While three of their matches had to be decided via penalty shootouts, he said it typified the "never say die" spirit of the students. "They kept their nerve and showed the . . . 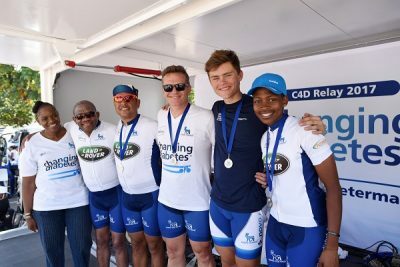 The Cycle4Diabetes relay was a very personal journey for former national road cyclist Zanele Tshoko. The annual three-day ride to raise awareness for the disease took place over a distance of 600km between Johannesburg and Pietermaritzburg recently and the 24-year-old said she felt "connected" to the cause. "It was a special and important event for me to be a part of," said Tshoko, who has friends and family living with diabetes. "We take this disease for granted. Some of us don't know that it is a killer disease, and it is important to know the risk of it." 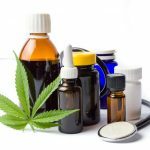 She said that it was not an easy thing to manage, but, if you kept yourself healthy, did exercise, took your medicine and followed your doctor's advice, it could be manageable. Four teams of four riders - each affected by diabetes in some way - took part in the event and were involved in five activations on the route. Tshoko, who races for the Team Bestmed-ASG outfit, was joined by her manager Owen Botha. Gerhard Moolman and his son Marco, a Type 1 Diabetic, were the other members of their team. Dr Jacques van Staden took charge of the C4D quartet while Mogomotsi Mashigo was in control at City of Johannesburg. Former national star Luthando Kaka, who placed fifth in the inaugural Tshwane Classic the day after the relay, led the Rand Water team. The first leg took the riders from Sandton in Gauteng to Newcastle in KwaZulu-Natal in sweltering conditions. The day was divided into three parts with the four teams riding together in the morning. C4D and Rand Water combined to take charge of the lunch session while Bestmed-ASG and City of Johannesburg finished off the leg. Tshoko said the heat made it a struggle early on, but things improved as sunset approached and it started cooling down. The following day saw a combined effort to Dundee, with the last leg taking them to Pietermaritzburg. "The final day was hard," said Tshoko. "I was tired after 50km, but pushed myself and it was . . . Keen to maintain their engagement with the East London community, SPAR Eastern Cape have thrown their support behind the Daily Dispatch Summer Fun Run later this month. This event, taking place at the beachfront on November 26, has been part of the East London social calendar for almost four decades and will offer 4km and 8km distances to runners and walkers of all abilities. It's an ideal event to kick off the festive season and SPAR EC sponsorship and events manager Alan Stapleton said the family ethos of the occasion was a perfect fit for them. 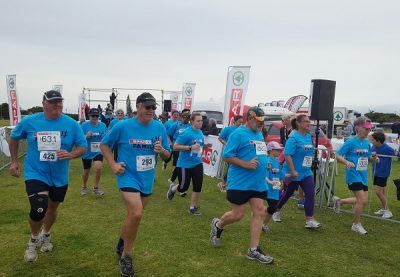 "We ran the Family Challenge in the past and following the continued success of the Women's Challenge in Port Elizabeth, we felt there was a call to remain involved with the East London community," he said. "This is a great opportunity for us to back an event which has been in place for 39 years and one that occupies a permanent date on the festive programme." He said the Summer Fun Run, which has been held in various formats over the years, ticked all the boxes for them. "It's a great welcome to the summer season; a fun event which is suitable for the whole family. Besides the races, there will be lots of fun events, lucky draws, music and cheerleaders." A further connection SPAR EC have with the Summer Fun Run is that the event has the Association for the Rehabilitation of Persons with Disability (ARPD) as its beneficiary. Stapleton said this tied in with the annual Wheelchair Wednesday campaign, which they supported in collaboration with the Association for Persons with Physical Disabilities (Eastern Cape) in PE during August. "This CSI initiative, which raises awareness of the difficulties people with disabilities face, is extremely important to the SPAR family and we are excited to continue that support through the ARPD in East London. "The Summer Fun Run was the first event in East London which welcomed strollers and wheelchairs, and the organisers donate R10 of each entry fee to . . .
University of Johannesburg hockey star Tyson Dlungwana has described his role in South Africa's triumph in the Africa Cup as the biggest moment of his fledgling career. The 20-year-old midfielder was a member of the national squad which annexed the continental title last month, overturning a 1-0 deficit to defeat hosts Egypt 2-1 in the final in Ismailia. That triumph secured the men's team a place in the World Cup next year, while Dlungwana said he would also be working hard in the months ahead to fight for a spot in the Commonwealth Games squad. 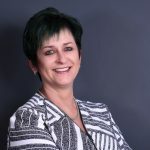 "This is the best achievement of my career so far," said the second-year education student, who grew up in Maritzburg but is now in residence at UJ. "It is a big step forward for me and I just hope I've done enough to solidify my spot in the side. "My major goals for next year are to be in the team for the Commonwealth Games in Australia (in April) and the World Cup in India (November-December)." Dlungwana said he enjoyed the experience of playing in Egypt and had learnt to handle several challenges. "One of the first things I realised was how fortunate we are in South Africa to have the infrastructure we do for hockey," he said. "There were some adjustments we had to make, such as getting used to the local food, which was a bit different from home." He added that there was also the matter of gelling with his teammates as they were together for just three days prior to the tournament. 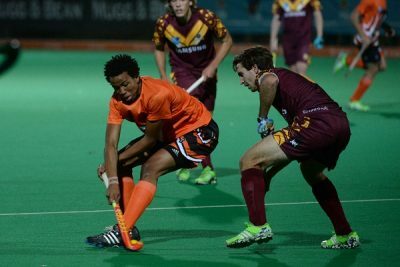 Before the UJ player turns his attention to next year's goals, he said his focus would be on the second edition of the Premier Hockey League, which begins on November 25. In this competition, the country's leading players are divided into franchises that play a series of matches until December 12. Dlungwana said he would be turning out for the Golden Gate Gladiators. "The Premier Hockey League is a massive step forward for SA hockey. We really appreciate the sponsors who have got involved as it provides a . . . Eager to showcase the variety on offer in the Sanlam MTB Invitational, organisers ASG Events are preparing to unveil a number of changes to the route for next week's event. 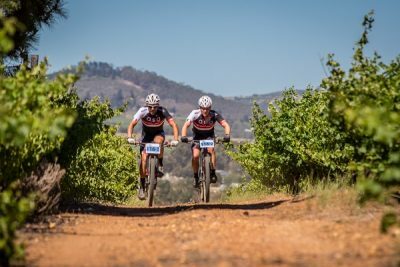 The annual race in the Western Cape takes place from Rhebokskloof Wine Estate near Paarl on November 18 and 19, with stages of 60km on the Saturday and 40km on the Sunday. With the race having grown from strength to strength, ASG operations manager Darren Herbst said a major part of their planning was to improve the trails and overall offering each year. Emphasising their philosophy that "the route is king", he added that they took on board the feedback they received each year to try to consistently improve the experience. "For this year we have really worked hard on a couple of new elements and we are excited to announce that competitors can look forward to a number of amazing additions," he said. With Paarl Mountain still the key feature of the stage, Herbst said much of their focus had been on reviewing the opening day's route. "In the biggest change of our planning, we decided to take the trail clockwise around the mountain this year. This decision not only provides some change, it also gives the route an entirely new look. "A lot of the climbing is now done in the first half of the stage and it has given us the opportunity to showcase a number of new features along the route." Herbst said they had been working in close association with Hero Adventures, which enabled them to implement several new trails and sections to be ridden for the first time this year. "A total of 25 per cent of the route is single-track, most of it new. Without giving away too much, we believe it offers some of the biggest variety anywhere in the Western Cape. "The balance of the trail combines jeep track, foot paths and gravel roads." He added that none of their work would have been possible without "the amazing support" of bodies such as the Drakenstein Municipality, Cape Nature, . . . The Madibaz women's volleyball team crowned their year with victory in the Mayoral Cup after a remarkable rear-guard action in Uitenhage at the weekend. In a match that created a fitting finale to the competition, Madibaz defeated Port Elizabeth College in the tightest of finishes in Sunday's decider. With the match deadlocked at 2-2, Madibaz volleyball manager Bernard Petersen said it looked all over for the varsity side when they trailed 14-9 in the fifth and final set. "At that stage, it looked certain that PEC, who needed only one point, would take the title," he said. "Both teams produced some exceptional volleyball, but it was the fighting spirit, teamwork and amazing skillset of the Madibaz ladies which prevailed in the end." He said they controlled the closing stages of the match to win the final set 16-14, taking the match 3-2. While the Madibaz men's team lost in the semifinals, Petersen said they were generally satisfied with the overall performance. "The men's team have the potential to perform a lot better than what they displayed at the Mayoral Cup. Maybe, with more intense training, planning and preparation, we will see a change in the results in the future." He added that the team played some fine volleyball before losing 2-1 to eventual champions, PEC, in their opening game. They ended second in their pool and came up against (losing finalists) Volkswagen in the semis, where they went down 2-0. 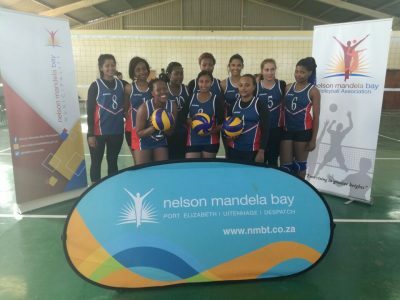 The Madibaz women won both their pool games 2-0, defeating Nelson Mandela Bay Municipality and Volkswagen. They then came up against Despatch and advanced to the final after an injury saw their opponents default the match. Petersen said the teamwork among the women had been the key to their success. "Volleyball is a team sport and everyone forms part of a puzzle to ensure the end goal. With this said, however, we must mention our outside hitter, Friederike Hobein, who displayed an excellent level of volleyball. He said the . . .
Human strength in the face of adversity was a source of inspiration for one of Port Elizabeth's top designers ahead of the annual SPAR Eastern Cape Jason Kieck Fashion Extravaganza. Themed "Hope of Africa", Kieck said this year's designs were sure to embody the fighting spirit of African people. And, with the Igazi Foundation the beneficiary for the fourth year running, he said his plan was to take the audience on an emotional trip. The only dedicated haematological services NGO in the country, the PE-based organisation have grown to be a recognised champion in this field internationally. "This year we would like to take the audience on an emotional rollercoaster. There will be excitement, anticipation and sadness - because of the link with cancer - but all will end in joy," said Kieck. Last year's "Elemental" show wowed audiences and the designer said he knew he would be hard-pushed to meet expectations. In no way daunted by the task at hand, he said the show would also be about showcasing local talent. "The theme is African-inspired, so there will be various forms of African influence throughout the evening, whether it be accenting indigenous flora, bits of tribal influence in some of the ranges or displaying the spirit of Africa - which is togetherness and Ubuntu." Featuring Kieck's trademark style and elegance, he said the extravaganza would also incorporate traditional geometric shapes, strong colours and tribal designs. Local songstress Amanda Faku, a contestant on this year's The Voice South Africa, will lend her voice to the occasion to add to the local flavour. Jeweller Morris Luiters, photographer Ryan Plakonouris, artist Janine Every and popular Cape Town band 3 Tons of Fun will also feature. "It's all about the fact that what South Africa and Africa have to put out there is as good as on any international stage," said Kieck. He was appreciative of the relationships that had formed over the years, especially those with the . . .
Chris Jooste and Yzette Oelofse collected the biggest victories of their careers at the inaugural Tshwane Classic road cycling race that took riders through the heart of Pretoria today. The 98km feature event, which started and finished at the Voortrekker Monument, saw around 4 000 participants blitz past all of the city's major attractions on a balmy but windy morning. Jooste, who lined up alongside pro teams such as BCX and RoadCover, said he took advantage of being a "no-name" brand. "I didn't really know what to expect but I knew my legs were good so I just went to try my luck today," said the 22-year-old, who grew up in the small Western Cape town of Prince Albert before moving to Kliprivier in the south of Johannesburg. 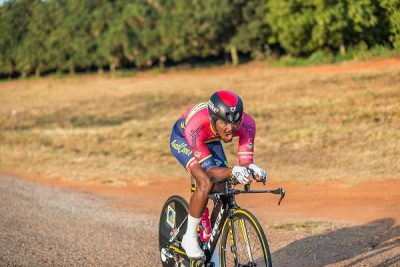 "As it was the first event, nobody really knew what to expect," said the Gauteng U23 road and time-trial champion. "We definitely didn't expect it to be such a windy day out on the highway. That made a big difference." Jooste said he took his time to settle in and sat comfortably in the bunch until he and RoadCover's Bradley Potgieter, ProTouch's Pieter Seyffert and four others set off in pursuit of two riders who had broken away roughly 40km in. Their efforts were rewarded shortly before the first major ascent and together the growing group started climbing to the finish. "Coming into the last 30km it gets tougher and tougher," explained Jooste. "When we started the first climb, going over the ridge, I put in some effort and split up the group." Then, on the Tom Jenkins climb, roughly 87km into the race, he decided it was now or never and put in a final effort to try and distance himself from his fellow escapees. 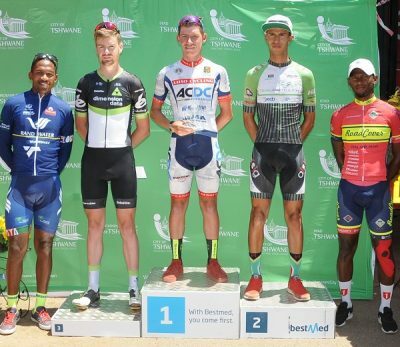 "At the top I had about 100m on them and I just had to keep pushing until the end," said Jooste, who collected the white jersey for best young rider after placing fourth overall at the Mpumalanga Tour in January. He crossed the line in 2:12:57, a minute ahead of ProTouch's Jaydé Julius and Dimension . . .
RoadCover professional Clint Hendricks will be aiming to capitalise on a wave of good form when he tackles the first of his two remaining objectives for the year at the Tshwane Classic in Pretoria on Sunday. The 26-year-old road cycling ace, who won the Cape Town Cycle Tour last year, is fresh from victory in the National Classic Cycle Race at Carnival City this past weekend. He hit the headlines in late April when he placed fifth overall at the demanding Tour of Eritrea as a member of the national team and followed that up with a triumph at the Tour Durban in May. Now Hendricks has his eye on the 98km feature race in Pretoria, an event he believes has great potential and one which is on his hit list. "From what I have seen and heard, I definitely think the Tshwane Classic can become one of the big races in the country," he said. "Certainly, the fact that there is total road closure means they are taking it seriously because there are only three or four races in the country which have that sort of thing. "There has also been a lot of media hype around it and, in its first year, it is really up there. "I am really looking forward to it and it's definitely one I want to win. It will keep the motivation high for the last big one of the year - the 947 Challenge (November 19)." Hendricks, who lives in Wilgeheuwel in Johannesburg, said he felt the nature of the Tshwane Classic route would suit his style as an allrounder "who can climb a bit and sprint as well". "I have never really considered myself a pure sprinter and on a route which is undulating, with a few climbs, it's the type of ride that suits my abilities." He added, though, that it also created some pressure and he knew there would be tough opposition for the top spot on the podium. The ProTouch team would always be in contention, said Hendricks, and added that a rider such as Bestmed Tour of Good Hope champion Kent Main (DiData) would be dangerous on a route that "would suit his . . .